One image I'll never tire of is the pineapple. It's such a wonderful sign of welcoming and hospitality. And therefore truly perfect to use for a wedding. And especially a Catalina Island, California wedding! 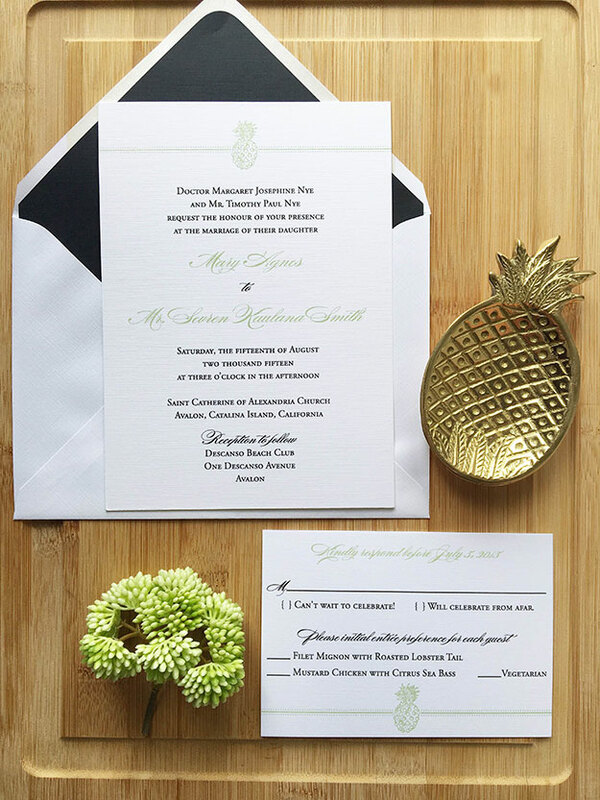 Mary and Sevren chose our traditional pineapple wedding invitation suite printed in celadon and black thermography. Their suite was printed on our ultra thick white linen.